With the U.S. celebration of Martin Luther King Jr. Day, it felt like a good week to take up the question of compassion. In a week when we commemorate high human virtue (not to mention lend each other support during our biggest community endeavor of the year), what does it mean to offer compassion—and how did this inclination develop? The Primal Blueprint 21-Day Challenge manifests differently for everyone. Some folks are focused on improving their diets, on removing this food or adding that food. Some have committed to optimizing their sleep by getting to bed at a certain time and eliminating nighttime electronics. And many just want to look better naked. But there’s one tie that binds nearly everyone I’ve interacted with through the course of this and previous challenges: physical activity. Whether you’re trying to eat, sleep, or look better, exercise matters. Effective exercise especially matters for everyone, and my intent when creating Primal Blueprint Fitness was to democratize fitness without compromising it—to distill effective training down to its essential elements so that everyone could practice it. Vote for Mark’s Daily Apple in Paleo Magazine’s “Best of 2015”! Perhaps it’s the competitive spirit left over from my marathon and triathlon days, but I love a good contest. And it’s that time of year again where Mark’s Daily Apple competes for the title of Best in Paleo Magazine’s Best of 2015 issue. And this year, Primal Kitchen is up for some awards too. But we need your help to make it happen. Here’s a little bit of backstory if this is your first year taking MDA to the finish line. Paleo Magazine is the premiere print and online subscription publication for all things paleo, primal, and ancestral health. Every year, Paleo Magazine holds an open vote for the world of paleo/primal aficionados to pick their favorite examples of companies, products, forms of education, and entertainment that are the most cutting edge, relevant, and noteworthy representations of the community. Being on this list means you’re recognized as the cream of the ancestral health crop. And we want Mark’s Daily Apple and the subsequent resources it provides to be recognized for what they are: the leading examples in the ancestral health community! As many of you adopt new behaviors and habits during this year’s 21-Day Challenge, there’s a fascinating unseen story going on between your brains and bellies I thought it’d be worth talking about. New behaviors and habits create new neural pathways, which are essentially new road maps for how you’ll think, feel, and act in the future. Now the integrity of those neural pathways—whether they’re firing at full force and with the right materials to do their job—is intimately connected to something I’ve talked about on the blog before in different ways: our gut microbiome. But as you’ll see, this microscopic landscape is worth talking about again—specifically because it influences your brain (that grand master of all organs) and how well you’re likely to stick to all those newly adopted changes in the future. The Primal Blueprint Platinum Package, 5 Primal Blueprint Publishing books of your choosing, and a year’s subscription to the Primal Blueprint Meal Plan. The Platinum Package is the ultimate in supplementation and is what thousands of Primal enthusiasts and I take daily. It includes: Primal Master Formula, Primal Fuel, Primal Probiotics, Primal Omegas, and a Primal Sun booster. What are five of your favorite Primal Blueprint Publishing titles? Want a copy of The Primal Blueprint, the book that started it all? Or would you like to try out one of our newest releases, like Fruit Belly, The Primal Prescription, or Primal Endurance? Perhaps you’re looking to expand your cookbook library…the choice is yours! 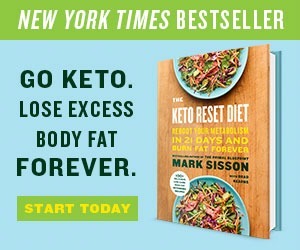 Today’s winner picks any FIVE books from PrimalBlueprint.com! 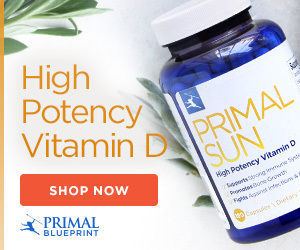 The Primal Blueprint Meal Plan provides you with the tools for a successful hunt?the shopping lists, meal plans and recipes you need to start eating Primal today. You’ll receive a new meal plan and shopping list in your email inbox every week for an entire year! You can also access our Meal Plan App on any Apple device, and easily customize your shopping lists and share with other meal plan subscribers!